All our fatal accident claims will be dealt with via our no win no fee solicitor service which is free to the family & dependents in the event the claim is lost. This is because we will take out specialist “after the event insurance that covers the legal costs. By instructing us or transferring your existing claim under our no win no fee solicitor service you may have nothing to pay or less to pay as our success fee, on fatal accident claims can be a lot less than what other solicitors charge. You may also be able to reduce the amount of costs you pay to your existing Solicitor by transferring you existing fatal accident claim to us. Don’t forget we offer our genuine No Win, No Fee, Solicitor Service so you have nothing to lose with no hidden nasty costs if you win. I Have My Own Legal Expenses Insurance – Can I Still Use You? Yes. But you have a free choice of no win no fee Solicitor. Also by using your Insurer’s Solicitors, they may charge you a success fee if you win, so they could take 25% of your compensation. I Am Not Happy With My Solicitors Can I Transfer My Case To You? Yes. It is very simple and easy to transfer your case to us. Most work under a no win no fee solicitor agreement. We will send you a single page form to sign which will be sent to your current fatal accident Solicitors. They are under a duty to then send your file to us. What Will It Cost Me If I Win My Fatal Accident Compensation Claim? Many no win, no fee solicitors now can take 25% of your injury compensation if you win, no matter if your case is settled within a few months or years. That’s a quarter of your compensation. With us, you have the ability to keep 100%* of your accident compensation so it could be very expensive if go with another solicitor, even if you have legal expense insurance. *Subject to terms, please ask for details. What Does It Cost Me If I Lose? 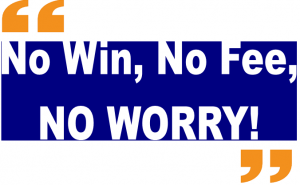 Nothing with our no win no fee solicitors service. We will ensure that you have specialist legal insurance which pays for your opponent’s costs if you lose. We work for free if you lose, hence no win, no fee solicitor subject to qualifying legal expense insurance which we can obtain on your behalf. How Can You Offer This Free Service? As we are expert Fatal Accident Claim Solicitors if you win your case the law says that your losing opponent must pay your Injury Solicitors costs. They pay us, not you. If you lose your case the specialist insurance pays your opponent’s costs, we are no win no fee solicitors so you pay nothing. What’s The Catch, Who Pays Your Fees? There is no catch. Please see the answers above. You can still get 100% of your compensation if you win and pay nothing if you lose or an option of a reduced success fee. We have a specialist no win, no fee solicitor question and answer page for fatal road accident claims. Please visit this page fatal road accident, no win no fee solicitor. What About The Scare Stories Over No Win No Fee Solicitor? There have been some in the past. This usually happens if a Claims Company sells your case to a Solicitor and the Solicitor is required to purchase the specialist legal insurance. The Claims Company may be paid a commission for selling the insurance but that commission payment may not be paid by your opponent. Some Solicitors may pass that commission loss on to their clients which reduces the compensation payment. There can also be other “hidden” charges which may be deducted from your compensation. The law has recently changed to stop this practice now. For specialist advice on fatal road accidents and no win no fee solicitor please visit our sister website: No Win, No Fee Solicitors and Road Accidents. There are time limits that apply to make a fatal accident claim so please do not leave it late. If you are reading this website to help a family member or friend who has not yet obtain advice you can contact us to discuss options. Whatever the circumstances, contact us. Click on our CONTACT US to call or email us via our Online Form. 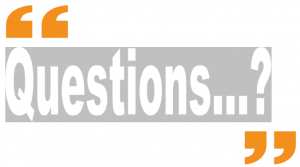 LIVE CHAT WITH NO WIN NO FEE SOLICITOR? If you see our LIVE CHAT icon usually at the top for bottom of the website of your browser, please click on the button and you will engaged one of our NO WIN NO FEE SOLICITORS to exchange chat live and help you with any questions.